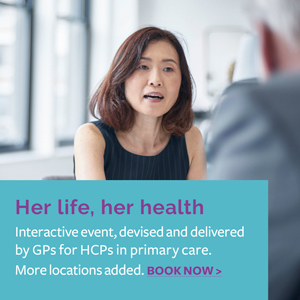 New research published on PLOS ONE explores whether screening for persistent high-risk HPV infections is a valuable screening method for young women. It is a retrospective cohort study. The researchers are from the Department of Obstetrics and Gynaecology, the Department of Pathology and the Department of Medical Microbiology at Radboud University Medical Center, Nijmegen, the Netherlands, and the Department of Obstetrics and Gynaecology at Deventer Hospital, Deventer, the Netherlands. 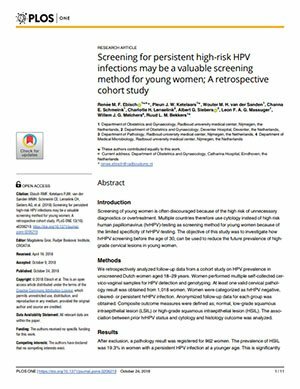 The objective of the study was to investigate how high risk human papillomavirus (hrHPV) screening before the age of 30, can be used to reduce the future prevalence of high-grade cervical lesions in young women. The full research paper is also available on the PLOS One website.